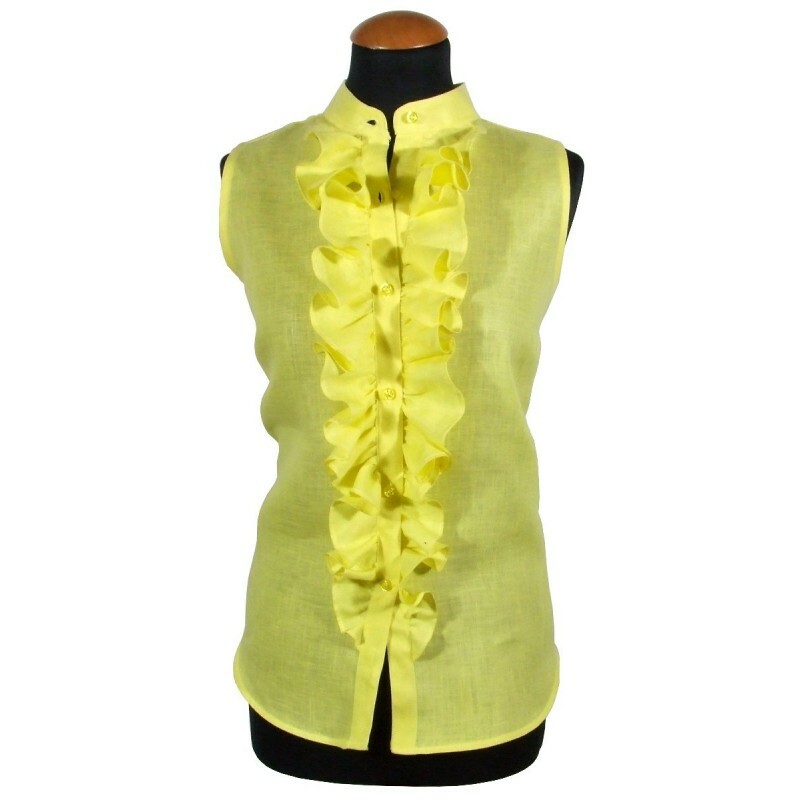 Sleeveless yellow shirt with corean collar and volant in front. 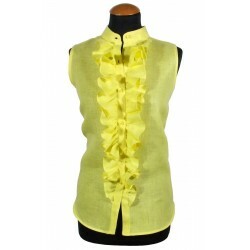 Yellow buttons and buttonholes. 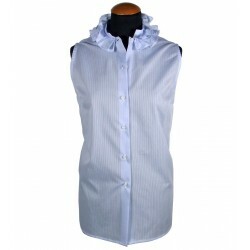 Women's yellow sleeveless shirt with corean collar and volant in front. Yellow buttons and buttonholes. 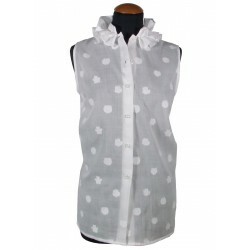 Sleeveless shirt slim fit with corean collar. 100% linen.